Hey Dantankerous, I bought 4 the last time and I would like to buy 2 this time. Are you okay with that? The Border Vigilantes (http://bordervigilantes.com/) run a great monthly match on the third Saturday of each month (unless there is a blizzard). Some would say its a Hell on Wheels of a good time. I was there this weekend and the stages were fun, the weather fantastic, and the shooters friendly and helpful. It's a fair drive from Denver where I live but well worth the ride. Right across the street from the Otto Road range is Chey-Cast Bullets, so you can shoot and purchase your next pack of reloads quicker than you can say Jack Robinson. Assassin and the crew are perfect hosts and run a safe SASS rules match. I am going to agree about the Browning BL-22. I bought my Grandson, Hot Shot Hayden, a Grade 2 BL-22 and he loves it. It has a short throw, great balance, and accurate as Hell on Wheels. Of the many guns we share, this is his favorite 22 LR. I have shot it several times and it brings me back for when Browning was king. Although the Remington Pump is close behind. Rube, Cheycast out of Otto, WY has real quality hard cast, lead coated bullets. I see that Assassin recommended them and he knows the reloading ins-and-outs really well. I got a free box of bullets at one of the Border Vigilantes matches last year and have been using them ever since. 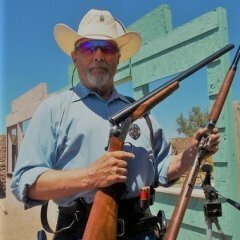 (https://bordervigilantes.com) I am currently using .38 Special in their 125 grain coated bullet with 4 grains of Trail Boss and they are as smooth as "Hell on Wheels." 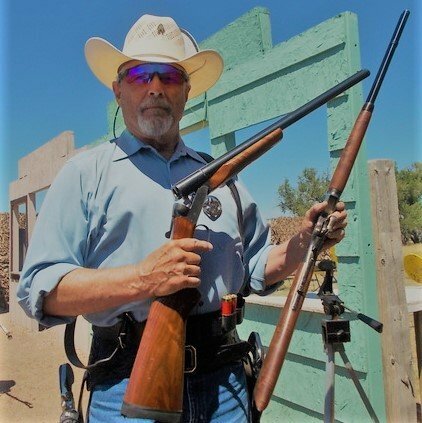 Some gunsmiths on the lever-actions tune-up recommend an OAL on the reloads and you need to make sure you can achieve that minimum OAL with the bullets you purchase. Orders of 2,000 bullets are generally shipped at no cost. My biggest problem at the loading table is the temptation to go and help someone. Great thought, but with loaded guns in holster it's a SDQ. I have done that twice in the last year. So now, the pistols are left on the table until the TO signals me to the line. I too have come to the line without shotgun shells. Love the stories of others showing we are all human. Pawnee Station March monthly match is ON! Hey Grizz, I am going to try and get there tomorrow, but family is a bit of concern. I got those great loading blocks the other day and they are terrific. They make me look somewhat professional, well at least a little more organized. Anyone looking for loading blocks should give you a shout out. Don't feel out of sorts. I have been holding off on what BTT means, or when people say Bump. I love people who use IMHO - in my humble opinion. Which doesn't really mean they consider their opinion to be humble, more passive/aggressive writing. These are great firearms. My Brother (Ripple) and I have pistols tuned and fancied-up by Jimmy Spurs. Your two pistols have the added engraving of Aspen Filly. I would encourage anyone interested in the best to latch on to these. Nothing better to me. I am also really particular about the length because I feel the balance is better. In other words, ain't nothing better! My Grandson (Alias Hot Shot Hayden) is an 11 year old Buckaroo and I can appreciate how much pride you have in your Granddaughter. What a great thing and a happy time for her and you.